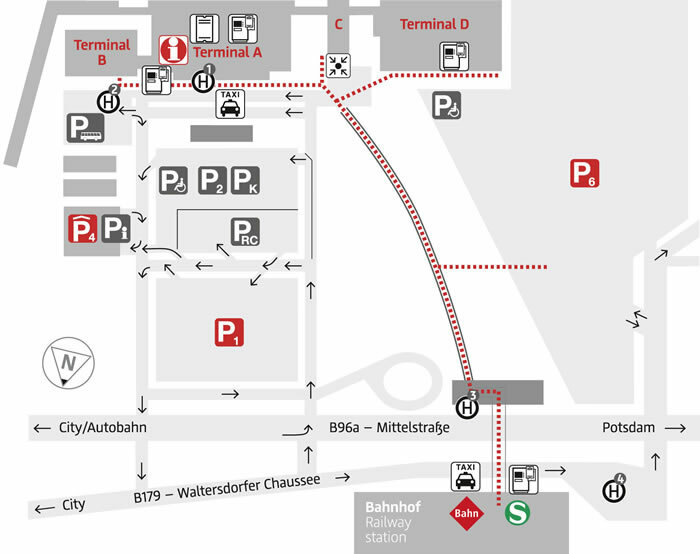 You can find on this page the map of Berlin Tegel airport, the map of Berlin Schönefeld airport and the map of Berlin Brandenburg airport. Berlin is served by 3 international airports including 1 under construction totaling more than 26.2 million passengers per year, Berlin Tegel (TXL), Berlin Schönefeld (SXF) and Berlin Brandenburg (BER) operated by the company Flughafen Berlin Brandenburg. The airport of Berlin Tegel is an important German airport located north west of Berlin. It is the 4th largest airport in Germany for passenger traffic with 19.6 million travelers in 2013. 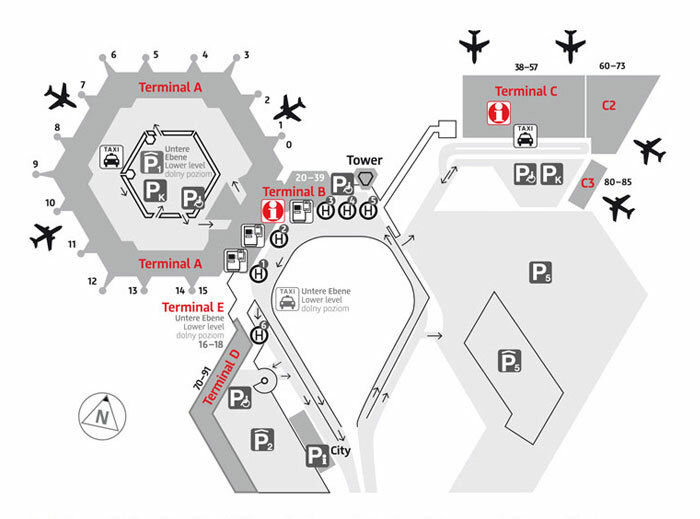 It has 5 terminals which are terminal A, terminal B, terminal C, terminal D and terminal E.
The airport of Berlin Schönefeld is an important German airport located south of Berlin. It is the 2nd largest airport of Berlin for passenger traffic with 6.6 million travelers in 2010. 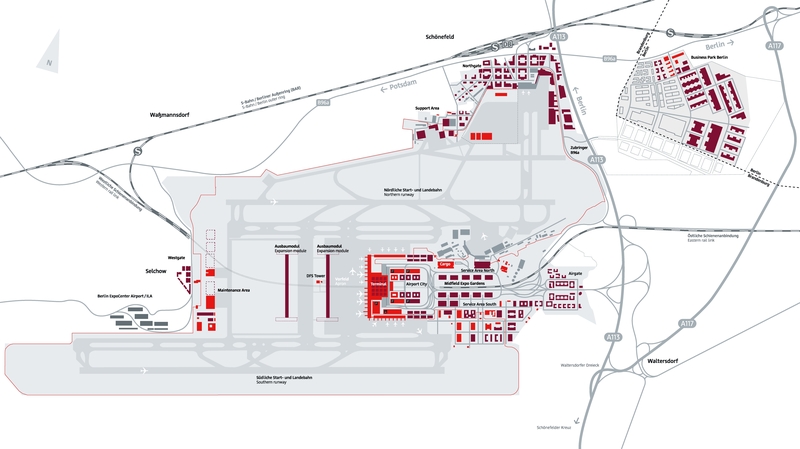 It has 4 terminals which are terminal A, terminal B, terminal C and terminal D.
The airport of Berlin Brandenburg is an important German airport in construction located south of Berlin. It will be the largest airport of Berlin and the only one because it will replace Berlin Tegel and Berlin Schönfeld.